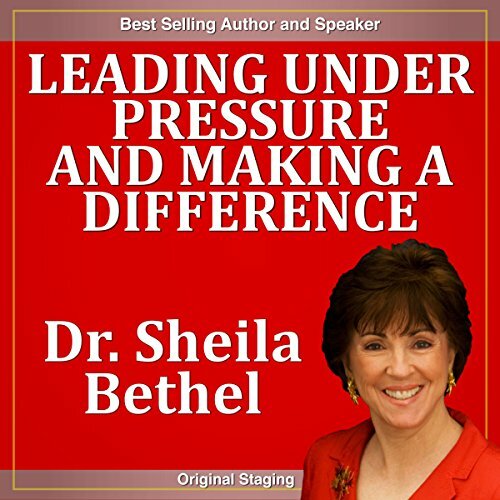 Showing results by author "Sheila Murray Bethel"
When the pressure is on, you must be at your very best. Your ability to focus on the strongest leadership qualities that guide, encourage, and inspire others is what will get you through difficult times. 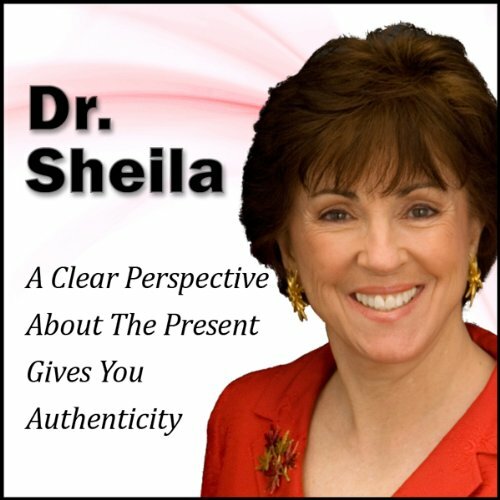 Dr. Sheila Murray Bethel will help you focus on the guiding philosophies and skill sets you need to build people and organizations in times of pressure. With a balanced perspective about the realities of today you’ll be a good leader, without it you’ll fail. Perspective gives you authenticity and gives your followers confidence in your leadership. Gain an accurate perception about yourself, the insight, humility and awareness will put you in the top percentile of leaders. 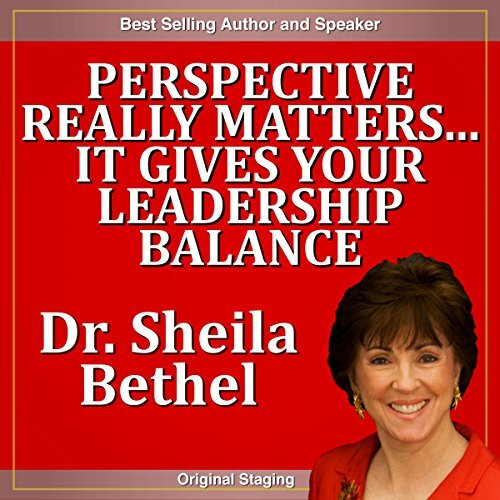 Leadership and change expert Dr. Sheila Murray Bethel will foster a new awareness about perspective as you listen and learn important principles and concepts. Leading a team through periods of rapid change can be a leader’s toughest problem. Discover the tools that leaders like Steve Jobs know: that change managed correctly can result in massive quarterly growth in revenues and earnings while maintaining high morale and fiercely loyal employees. Explore the barriers to change and where they come from, along with the tools to overcome the natural human resistance to change. In this program, you'll reexamine and confirm common sense steps and action oriented ideas to take a quantum leap forward in your leadership effectiveness. As Ursual Burns, CEO of Xerox, and Steve Jobs, CEO of Apple, know, leading people in times of great change is one of the most difficult tasks you will ever have. They also recognize that it is one of the most rewarding. Gain insights from their ability to lead change. Combining personal power, position power and humility becomes the greatest force on earth. You can move mountains. First Lady Eleanor Roosevelt did it, and you can too. The true measure of leadership is your ability to influence others to take new actions, think new thoughts and build a shared sense of purpose. 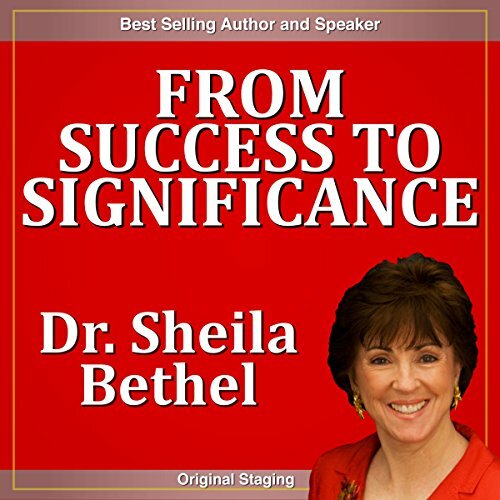 Fill your leadership toolbox with immediately usable ideas and actions from globally acknowledged leadership and change expert Dr. Sheila Murray Bethel. Values are your moral compass... a fixed beacon giving direction and purpose to your other leadership qualities. You’ll build long term, sustainable teams and organizations when you have the courage to examine, define, and forge your personal values and principles. Lessons from Astronaut Christa McAuliffe and golf legend Arnie Palmer will inspire you to be a person who can guide others as they navigate their way through the issues and opportunities of our new century. You already posses the qualities to be a high achiever. Now you can define them and put them to work, unlocking your unique potential. Travel the road to your own personal greatness. 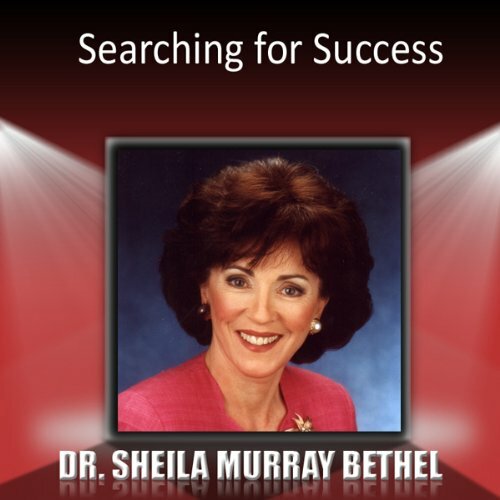 Dr. Sheila Murray Bethel's expertise in personal development and her passion to help others find their own success make this a presentation you won't want to miss. You'll be ready to take positive action to build the business and personal life you deserve. While financial reward remains important in our free enterprise system, the definition of success includes a better balance between our business and personal lives. Living a rich, fulfilling life comes from making a difference with co-workers, customers, community members, and family. Learn to live and succeed in our dramatically changed world, with the power to build a career and to design. This program delivers the keys to true success. The futurists tell us that from 2000 to 2050, we will go through more change than all of humankind has in the last 500 years. This age of unprecedented change is filled with apprehension and excitement, challenge and opportunities. 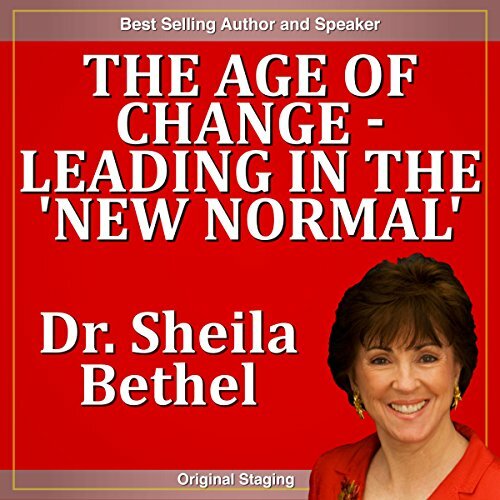 Whether you lead a small team or a major corporation, Dr. Sheila Murray Bethel, globally acknowledged leadership and change expert, gives you tools to forge a strong set of change tactics. 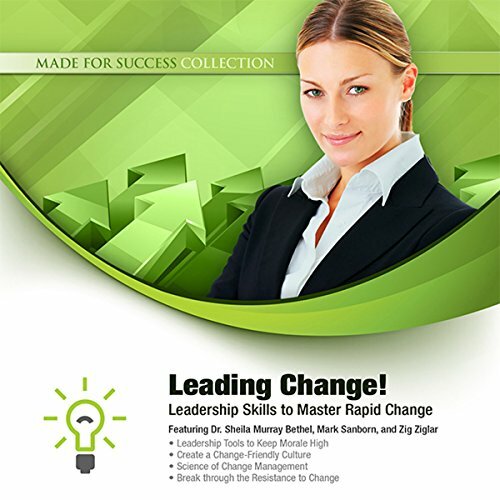 Understanding the profound basics of the human change process prepares you to avoid making serious leadership mistakes. If you ignore them you risk failure. Grow stronger with the philosophies and actions that give the proper sense of urgency to your leadership strategies. Lessons from veteran television journalists Anderson Cooper and Gwen Ifill offer further wisdom and depth on how to become a change master leader. 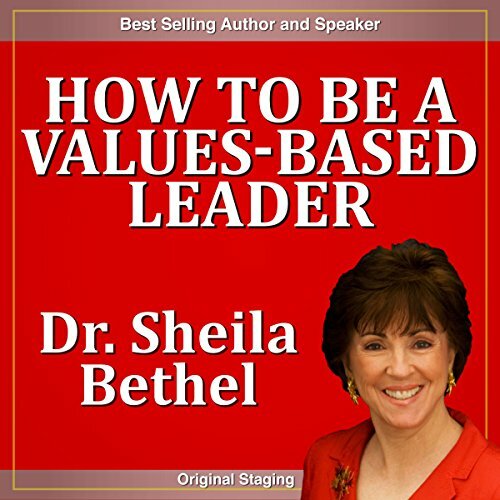 Whether you lead a small team or a major corporation, Dr. Sheila Murray Bethel, globally acknowledged leadership and change expert, gives you tools to forge a strong set of values so your organization can weather the ups and downs of our rapidly changing world. One of your most important leadership responsibilities is your personal ability to cope with change and its side effects. To prevent burnout and relieve stress, you need a strategy to keep you in balance, and grounded in the realities of today. Then you are ready to move forward into the future as a whole and confident person. 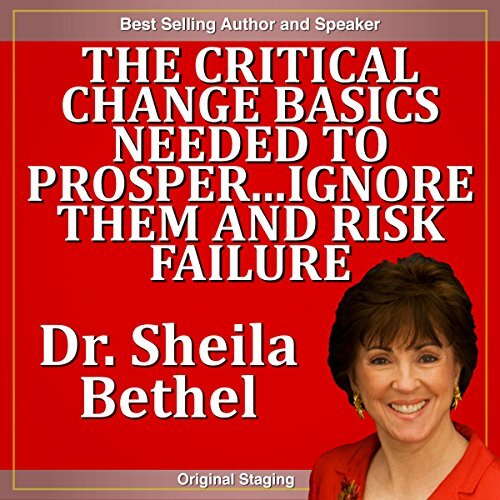 Gain more comfort and control in any situation with the process developed by globally acknowledged leadership and change expert Dr. Sheila Murray Bethel. Power is the prime mover of people and events. It is inherent in leadership... you can't lead effectively without it. 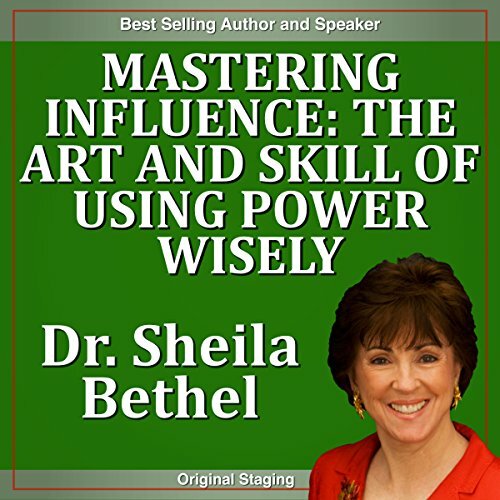 Twenty-first-century leaders who make the greatest contribution will be those who take the time and make the effort to build the art and skill of using power wisely. 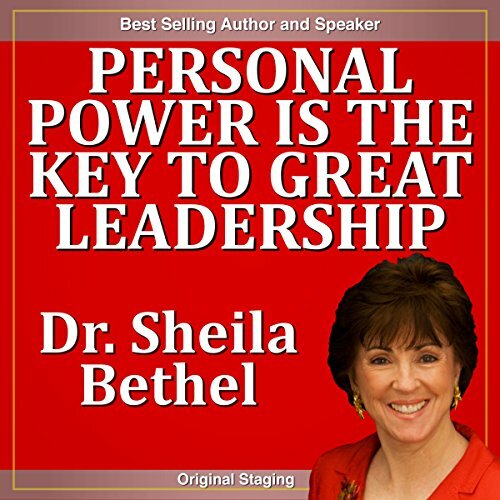 Let global leadership and change expert Dr. Sheila Murray Bethel be your guide to better understand of the wise use of power. The rapid-fire changing world of the twenty-first century presents new challenges – and new opportunities – for leadership. The ideas, concepts, and attitudes that once drove the nation to success need to be updated. To be an authentic, inspiring leader, you'll dramatically increase your success as you meet head-on modern society's issues by cultivating new insights and perspectives. With a Ph.D. in communications, this public-television host offers real-world guidance to a client list reading like a global Who's Who of business and government. 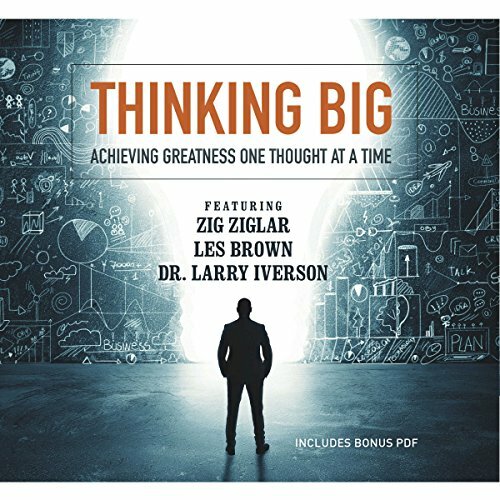 The subjects covered here include the three leadership drivers of the 21st century and the four F's of effective leadership: Flexibility, Focus, Fostering, and Family. 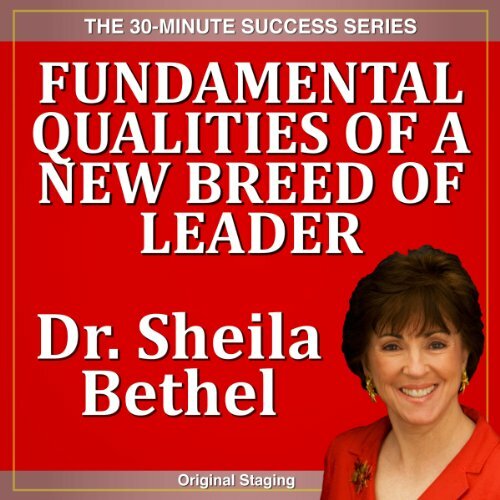 Fill your leadership toolbox with result oriented skills from globally acknowledged Leadership and Change expert Dr. Sheila Murray Bethel. 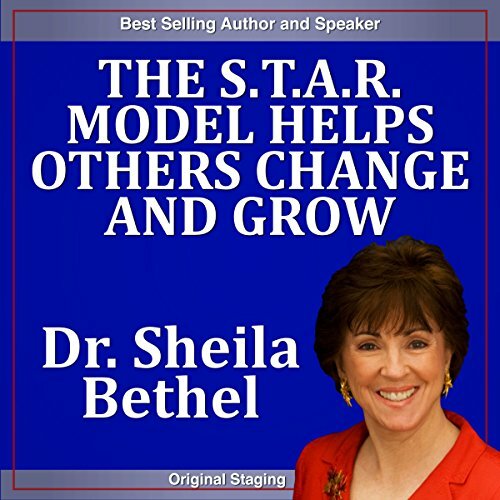 In this session you will learn to implement the “S.T.A.R.” model of leading change and empowering followers, and maximizing their personal skills, talents and abilities as they grow and change. One of the most rewarding tasks you have as a leader is helping others accept, handle and thrive on change. Now is time to fill your leadership toolbox with as much perspective as you can gather for your journey to the future. The counterpoint of past and present helps you make that transition. Examples and stories of past leadership failure and success lay the groundwork for your approach to both the present and future. Gain insight and wisdom from television host Charlie Rose and author David McCullough, and comments from Donna Shalala, President of Miami University. Values really matter. They are the foundation for forging communities with common bonds that withstand great change and upheaval, while taking the necessary steps to build a better future. 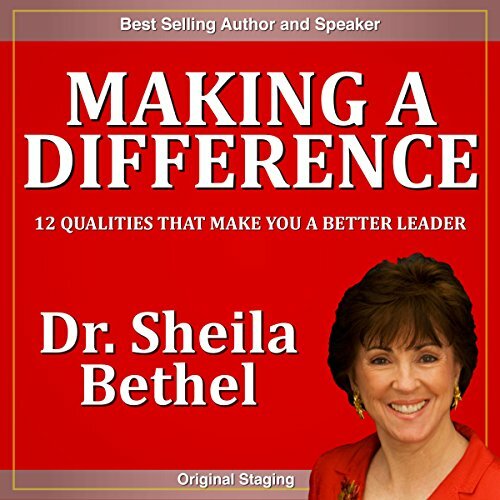 Whether you are leading at home, in your work, or in your town or city, let global leadership and change expert Dr. Sheila Murray Bethel be your guide to better leadership. Of all the examples you set as a leader, the wise use of humble personal power has the most long-term impact. If the basis of your power is one of service your leadership acquires an aura of dignity and your influence is increased a thousand fold. 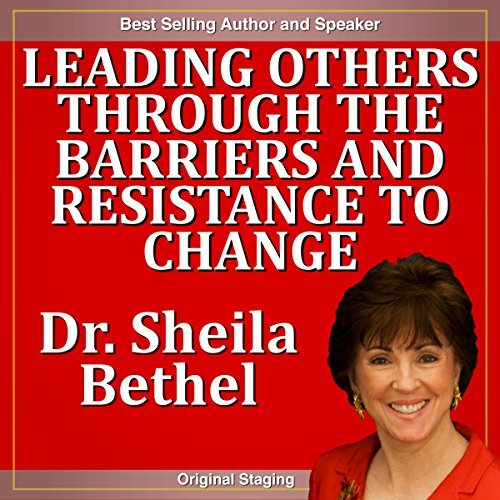 Globally acknowledged leadership and change expert Dr. Sheila Murray Bethel, author of A New Breed Of Leader, will give you immediately usable ideas and actions to help you on your leadership journey.